ALZETA® Corporation serves industrial and commercial users worldwide, providing advanced combustion-based energy and emissions solutions. ALZETA was established in 1982 with a commitment to providing advanced combustion technology and products with superior performance and the lowest pollutant emissions. 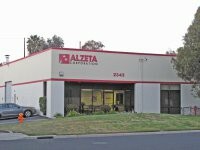 Over the past 30 years, ALZETA has shipped over 100,000 low NOx burners, preventing the release of more than 25,000 tons of NOx into the environment. Our product lines include the CSB™, FireStar™, Duratherm™, Pyromat™, and nanoSTAR™ premixed, surface-stabilized combustion burners; and our EDGE exhaust gas and VOC abatement technologies. Led by one of the industry's most experienced technical and management teams, we've combined in-house research and development with new alliances and technology acquisition to deliver a history of patented te chnology and products. We have a proud legacy of working hand-in-hand with end users, systems integrators, and original equipment manufacturers to integrate surface burners into their equipment to provide low emission and uniform heat distribution benefits. Current customers and partners include Power Flame Incorporated; Burnham Corporation, Inc.; Bekaert Corporation; Edwards Ltd; Dow Chemical; Exxon Mobil; General Electric; Florida Power & Light; and Evergreen Oil. ALZETA holds active memberships in industry associations including Semiconductor Equipment and Materials International (SEMI). 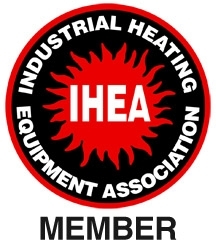 the American Boiler Manufacturers Association (ABMA) and the Industrial Heating Equipment Association (IHEA).